You are here: Home / Main Courses / Instant Pot Korean Pork Chops, The Best Instant Pot Pork Chops Ever! 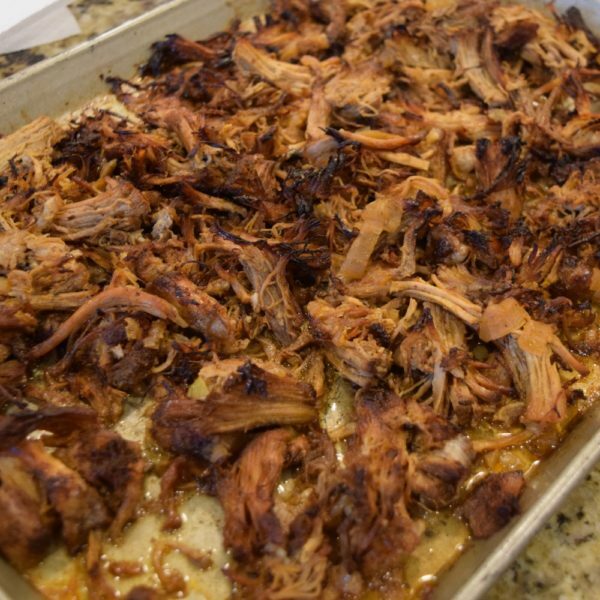 This is by far my favorite Instant Pot Pork recipe. It might be my favorite of all recipes! 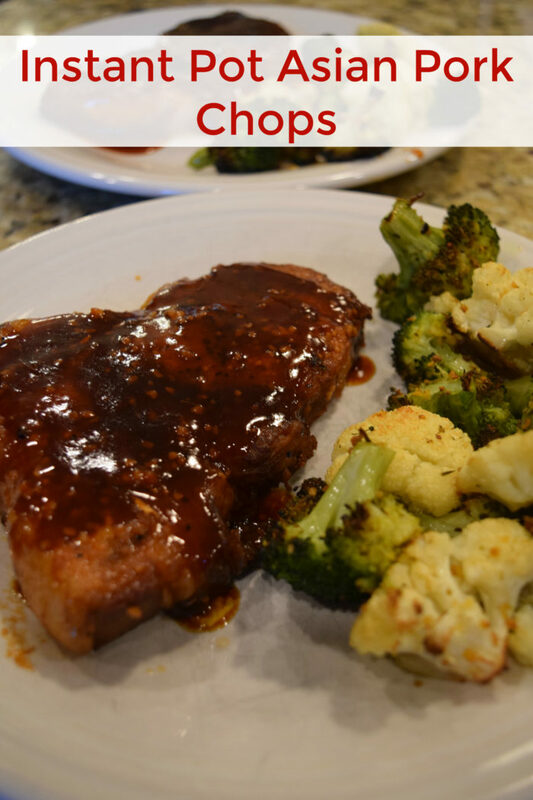 These Instant Pot Korean Pork Chops are an adaptation of my favorite regular Korean Pork Chops, that I used to make on the stove and in the oven. But the thing with baking pork chops is that they tend to dry out. The Instant Pot fixes that. 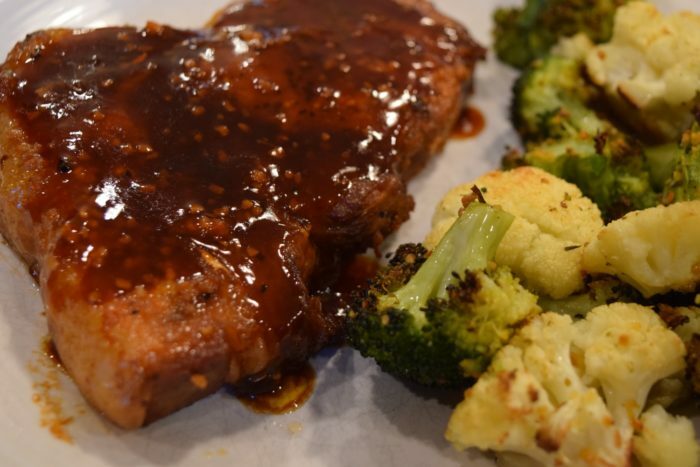 Pork chops made in the Instant Pot come out super tender and juicy. Adapting this recipe took a bit of tweaking. First, the normal recipe does not use a lot of liquid, so I had to increase the soy sauce so that the pot could come to pressure. But I did not want to simply double or triple the whole recipe since the sriracha spice would carry through well without increasing it too much. So, I played with the amounts and found what seemed to work. Because this makes a lot of sauce, you can use this recipe for up to about 6 chops if they will fit in your pot. 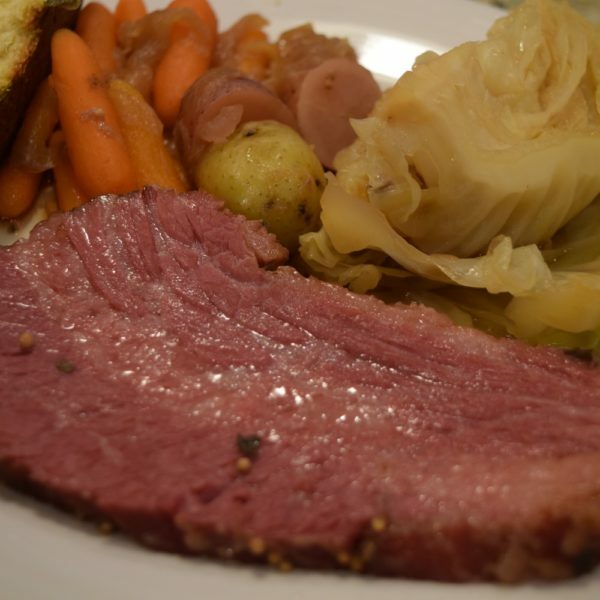 You may have to saute them in batches to initially sear them. The ingredients are pretty simple. I used prepared garlic for this simply because my garlic press broke. It worked out fine, but I usually prefer to use fresh garlic. I highly recommend using fresh ginger. I do not have a suggestion for the amount if substituting dried powder ginger. 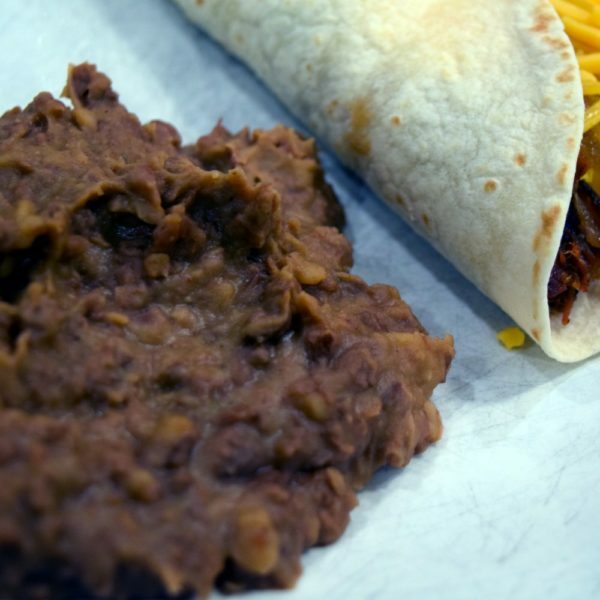 The nutrition information is based on low sodium soy sauce. It will be much higher in sodium fi you use regular soy. Also note that I have a Keto version of this recipe on my SnackRules site. I haven’t tried that yet in the Instant Pot, but using the same substitutions in the new amounts shown here, should work fine. 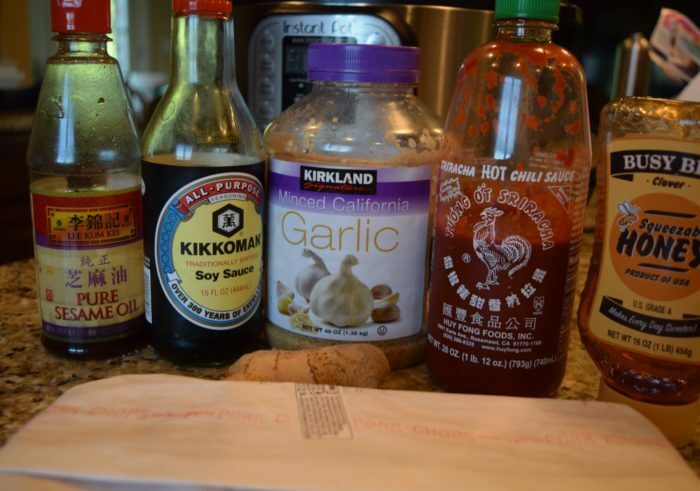 Visit the link to see what I use in place of honey, soy, and sriracha. 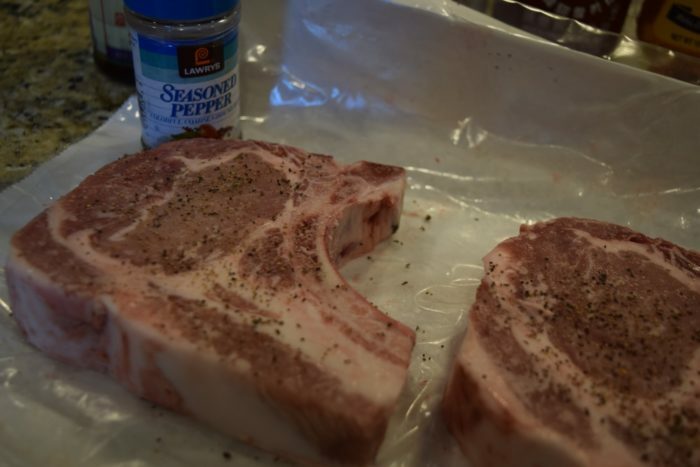 My pork chops happened to be bone in chops. They did not fit well in the Instant Pot to sear two at once with the bone in, so I cut the bones out before cooking. I seasoned them up with a bit of salt and seasoned pepper. After searing the chops, the ingredients are mixed and poured over the chops. I cooked them on manual high pressure for 12 minutes with a natural release for 14 minutes. They came out so tender that one actually broke in half! Here they are after cooking, while I prepared to thicken the sauce. The sauce with these normally is baked on in an oven to be a sticky glaze. To adapt for the Instant Pot, I thickened it with a slurry of cornstarch and water and spooned it over the pork chops. 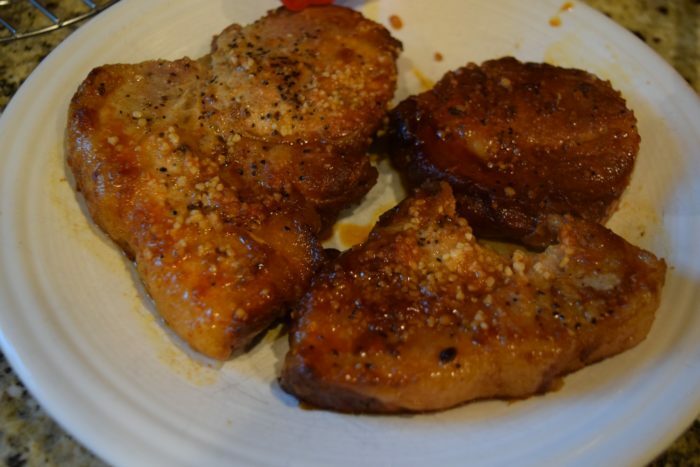 The taste of the Instant Pot Korean Pork Chops was the same as the original recipe, yet the chops were much more tender and moist. I will make them in the Instant Pot every time now! 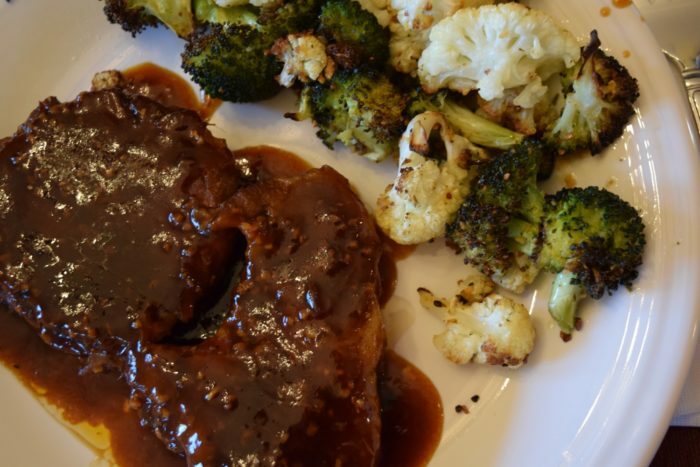 I served these with easy to make roasted broccoli and cauliflower. The timing of that worked really well for me to preheat the oven when I tuned on the Instant Pot and then I put them in when the pot had about 5 minutes left on its cook timer. Here is the recipe. I make mine quite spicy. If you prefer mild, lessen the amount of sriracha. These Instant Pot Korean Pork Chops are the best pork chops I have ever made in the pressure cooker! They come out super juicy and tender and have a great Asian spice taste. In batches, saute pork chops on each side until browned, about 3 minutes per side. In a medium size bowl whisk together the soy sauce, honey, garlic, ginger, sesame oil and sriracha sauce. 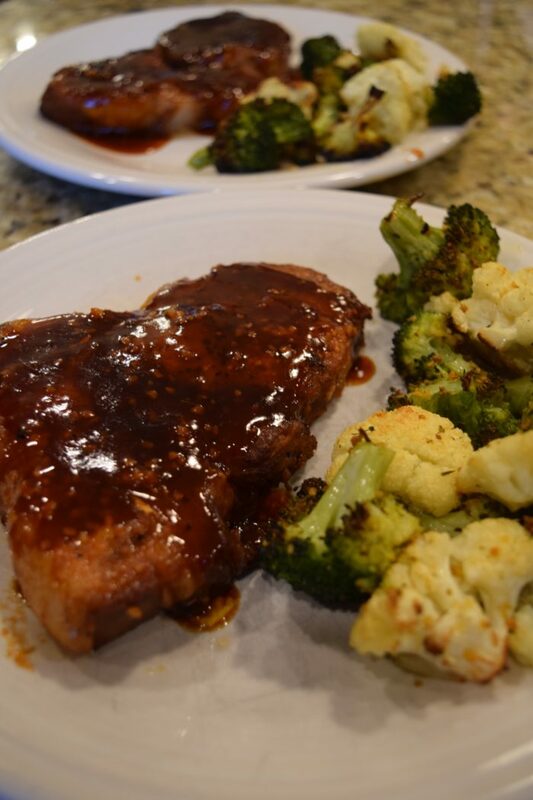 Place pork chops in the Instant Pot and cover with the sauce . Pressure cook on manual high pressure for 12 minutes. Use natural release for at least 14 minutes. Remove chops and set aside. 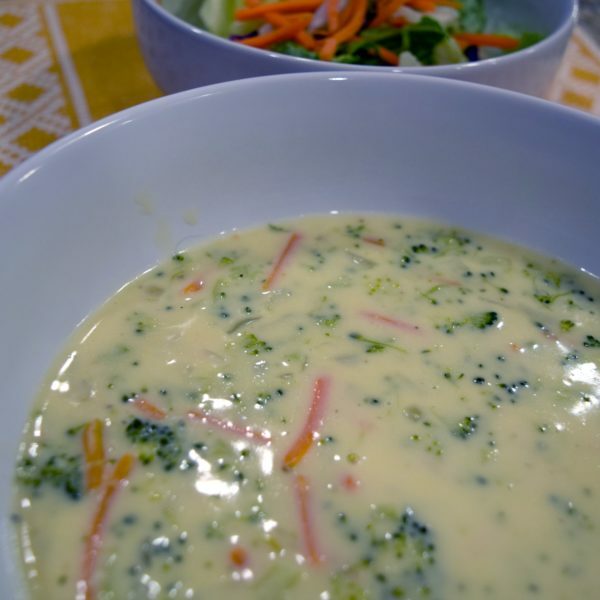 Set the Instant Pot to saute and whisk in the cornstarch slurry. Simmer and stir until thickened, about 2 minutes. Spoon sauce over the pork chops and serve.